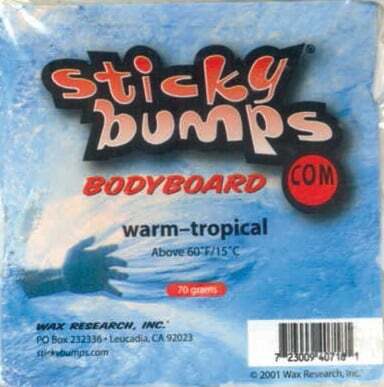 Exclusive Bodyboard Wax formula. Warm-Tropical above 60°F/15°C. Traction added wax never spoils. Safe for Environment.